Today at the Mobile World congress, Nokia introduced the new revolutionary Nokia 808 PureView with a large, high-resolution 41 megapixel sensor. with high-performance Carl Zeiss optics and new pixel oversampling technology. At standard resolutions (2/3, 5 and 8 megapixels) this means the ability to zoom without loss of clarity and capture seven pixels of information, condensing into one pixel for the sharpest images imaginable. At high-resolution (38 megapixel maximum) it means the ability to capture an image, then zoom, reframe, crop and resize afterwards to expose previously unseen levels of details. 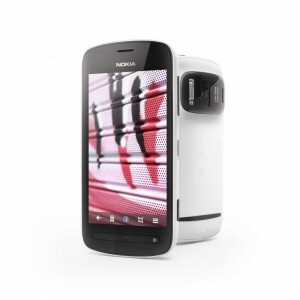 With superior low-light performance and the ability to save in compact file sizes for sharing in email, MMS, and on social networks, the Nokia 808 PureView makes it possible for anyone to capture professional looking images in any conditions.